BBR 1:18 resin model of the #7 Ferrari SF71H as driven by Kimi Raikkonen in the 2018 Australian Grand Prix. 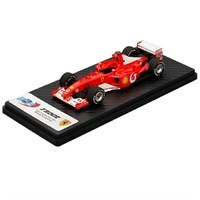 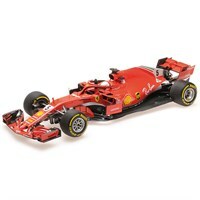 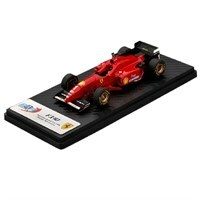 BBR 1:18 resin model of the #5 Ferrari SF71H as driven to victory by Sebastian Vettel in the 2018 Australian Grand Prix. 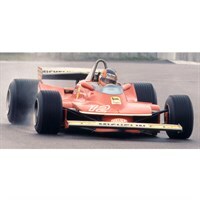 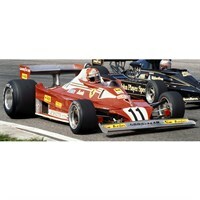 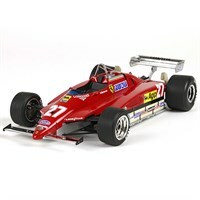 BBR 1:18 diecast model of the #12 Ferrari 312 T4 as driven by Gilles Villeneuve in the 1979 USA East Grand Prix. 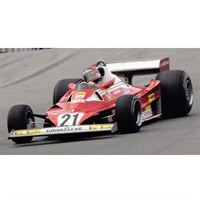 BBR 1:18 diecast model of the #21 Ferrari 312 T2 as driven by Gilles Villeneuve in the 1977 Canadian Grand Prix. 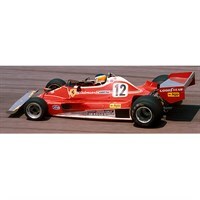 BBR 1:18 diecast model of the #12 Ferrari 312 T2 as driven by Carlos Reutemann in the 1977 Japanese Grand Prix. 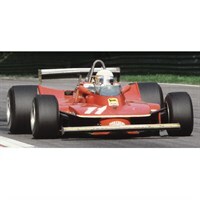 BBR 1:18 diecast model of the #11 Ferrari 312 T2 as driven by Niki Lauda in the 1977 Dutch Grand Prix.